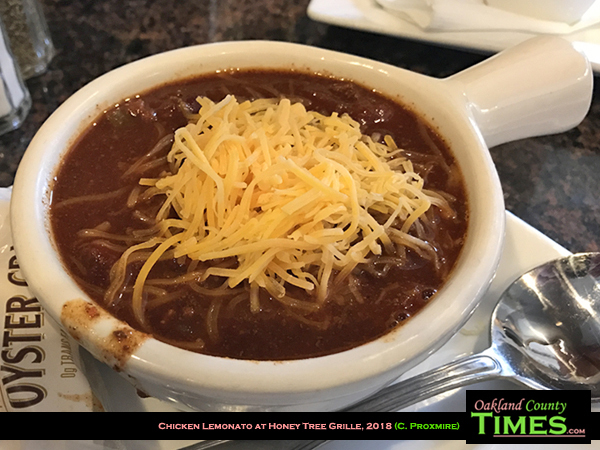 Bloomfield Township, Lathrup Village, Northville, Rochester Hills, Southfield, Sterling Heights, and Troy, MI – Honey Tree Grill has six locations, but I decided to try the one at 28601 Southfield Road in Lathrup Village. 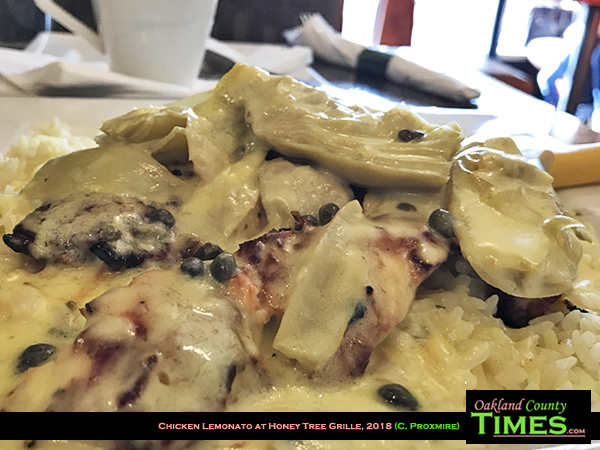 Honey Tree has Greek and American food, and the Chicken Lemonato is one of their specialties. 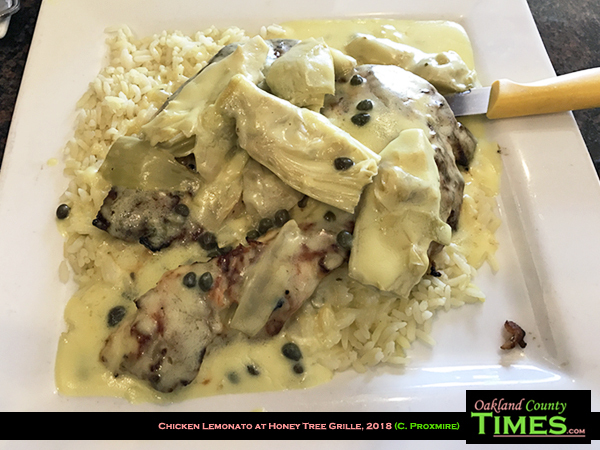 It’s white meat chicken sautéed in white wine, butter, and lemon with artichokes and capers served over a bed of rice. It comes with soup or salad, so I had the chili. This was also quite good.